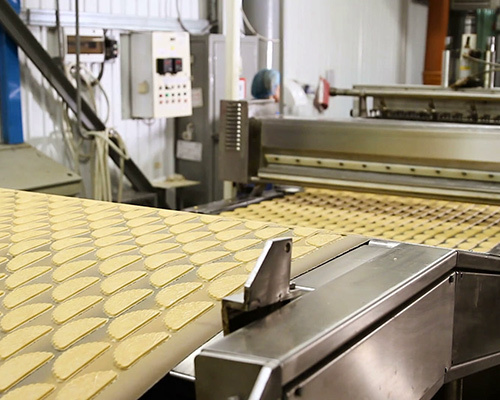 It is no wonder that people are fond of the bakery products, whether it is a bright day, anniversary of any other occasion is incomplete without bakery products and to match the immense demand of the bakery products, industries have banked upon the conveyor belts to speed up the process and magnify production. However, the quality of the conveyor belt decides the quality of the bakery product and hence it is essential to select wisely. Our conveyor belts for the processing is the one of the best selling conveyor belts, for its high quality, food grade material, excellent resistance to heat, water, and fat features and success in the industries associated with bakery, thanks to the first rate PVC/PU material. This conveyor belts for dough processing is manufactured following the required quality standards, which fully complies with the food industry requirements and hence ensures highest food safety. Besides that, it is essential that conveyor belt for dough processing requires being non sticky, temperature resilient, water resilient and also non sticky, is what our PVC/PU material fulfills and hence is flourishing in the dough processing industries for performing flawlessly and efficiently. This conveyor belt is exemplary for the biscuit, bread, cookies, cakes and other similar applications, makes it also well known as the conveyor belt for bakery industry worldwide. No matter what size and type of dough processing conveyor belt you require, we are well versed to deliver a topmost quality that truly valuable for your dough processing needs.